Visit Dr. Karl-Henrik Robèrt - FUTURE-PROOFInc. The founder of the Framework for Strategic Sustainable Development (FSSD) and The Natural Step, Dr. Karl-Henrik Robèrt visited us in The Netherlands. One of the highlights was his appearance at a Meet & Greet in the TNS office in Eindhoven where practitioners were able to hear more details about his views and current developments. 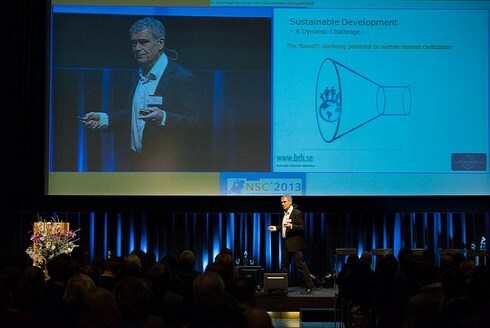 He also delivered a keynote at the Nationaal Sustainability Congres 2013 in Rotterdam and gave several interviews.